We had a good little radio network going tonight. Sassafras Mountain Repeater at 8pm, all licensed users are welcome to join in. There were about 10 of us tonight, had a good little discussion about this and that. 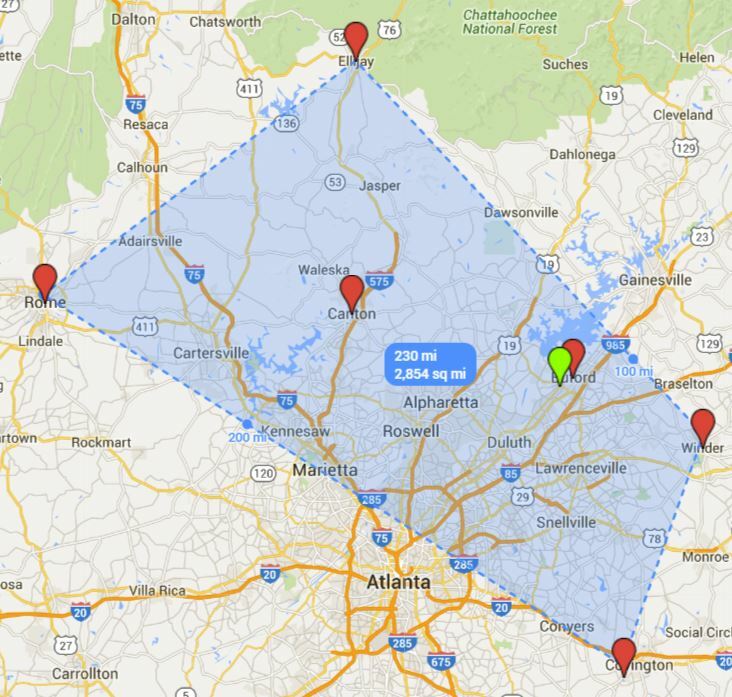 We had check-ins from Ellijay, Canton, Buford, Rome, Winder, Woodstock, Lawrenceville, Sugar Hill, and Porterdale. We had very strong contacts covering a 2800 square mile area. 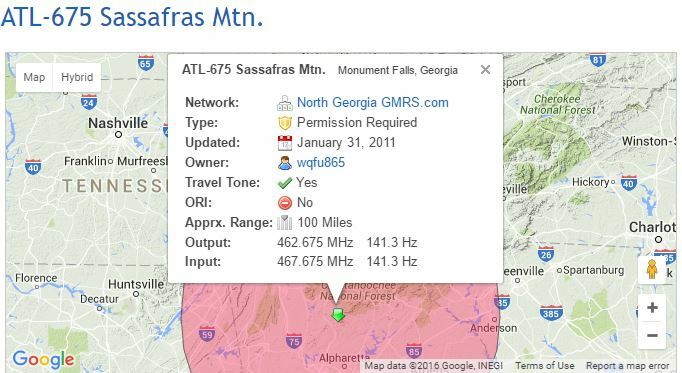 North Georgia GMRS has over 300 licensed users and over 1000 assigned unit numbers to include family members of the licensees. Just putting the word out about this... most of these radiomen tend to be on the conservative side, and most are preppers. Quite a good number of LEOs and military as well. Good folks all around. ATL-60 Gary Beckstedt WQFU865 has put in a huge amount of time and investment establishing a network of 24 ( :o :o :o :o ) repeaters, most of which have solar panels and battery backups with commercial grade equipment. I hope this summer I get to go climb some towers and do some maintenance with him and other members. Those of you who are interested in the hobby, licensing is cheap and covers your whole family with a single license. Feel free to message me or post here, and I can show you where the repeaters are in your area, anywhere in the USA. The images below represent the coverage area of a single repeater, and there are 24 in the network! Our old house would have been in that area. Sold it a couple years ago.